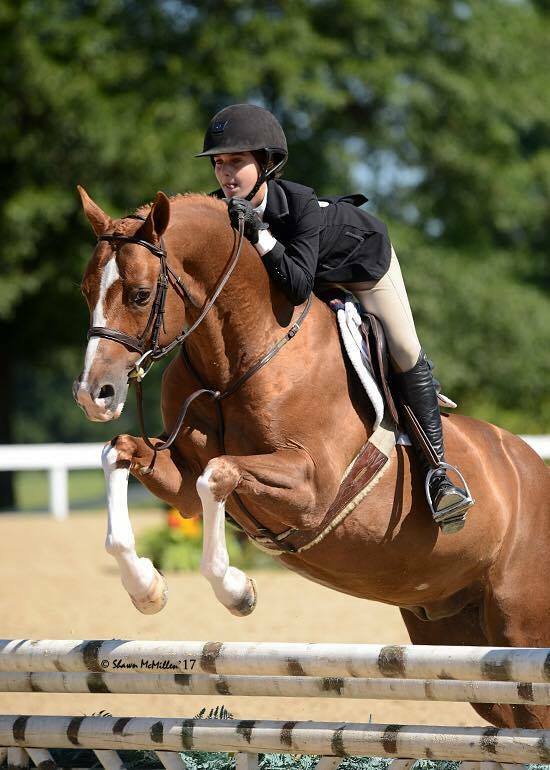 ~Kentucky Summer Classic II was amazing for all of our riders! Gabrielle Sokolow earned the Championship in the Large Pony Hunters just ahead of Ava Peck and Persephone who claimed the reserve championship! ~Samantha Sommers rode Grand Affair to the Championship out of a field of 40 in the Adult Amateur's 18-35 in addition to the Classic win! ~Augusta Iwasaki earned the Champion and Reserve awards aboard Cavalier and Boris in the Small Junior Hunters! Brooke Latner rode California Dreamin II beautifully, earning a 3rd place finish in the Large Pony Handy out of 35! Ella Sherman, Bella Griffin, Elsa and Siri Batalden had a fun first week in Kentucky, all riding phenomenally against tough competition on their wonderful ponies! Good Luck this week during Pony Finals! Gabrielle Sokolow & EverAfter ~ "Flynn" is a Large Green Pony FOR SALE!